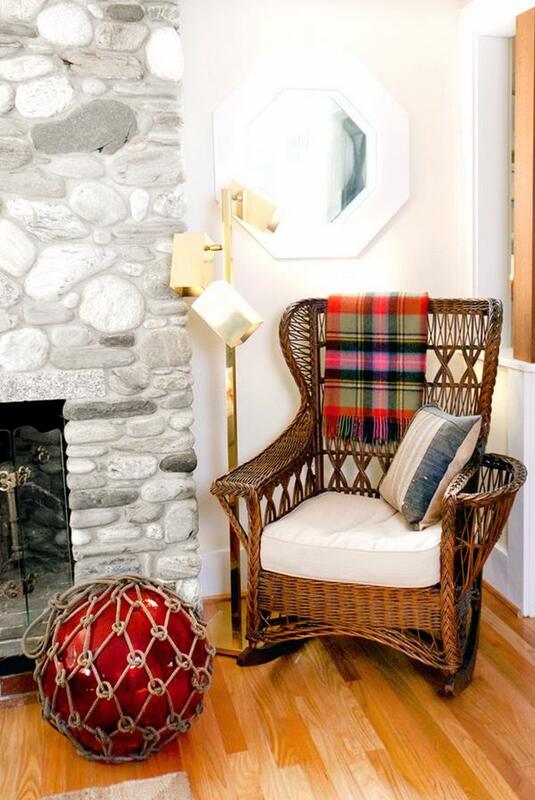 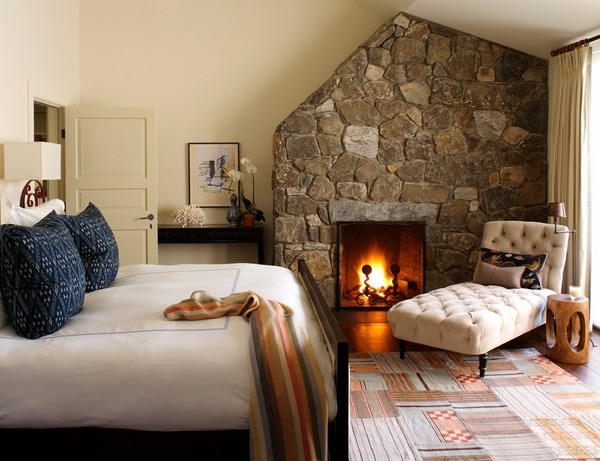 A hearth can warm the house and blend in a country, traditional, eclectic or contemporary design. 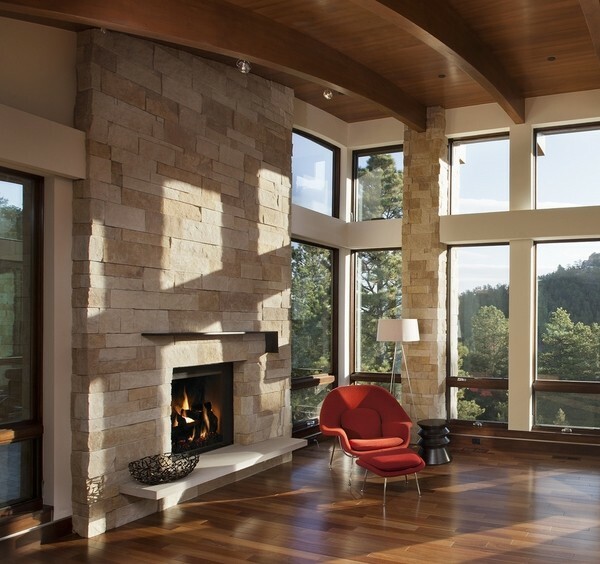 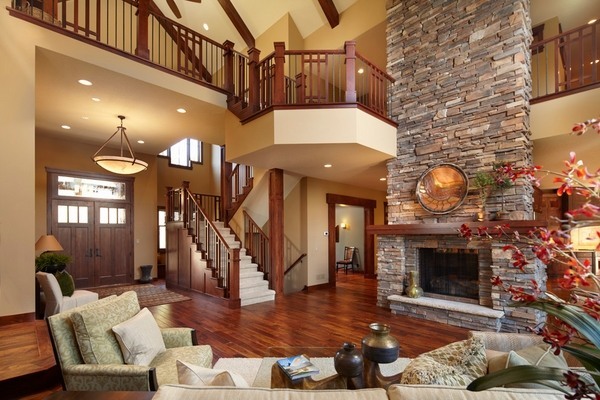 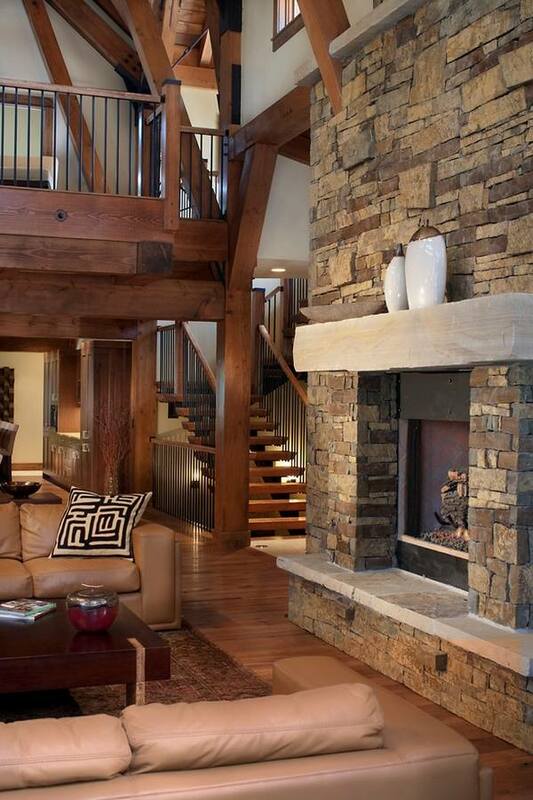 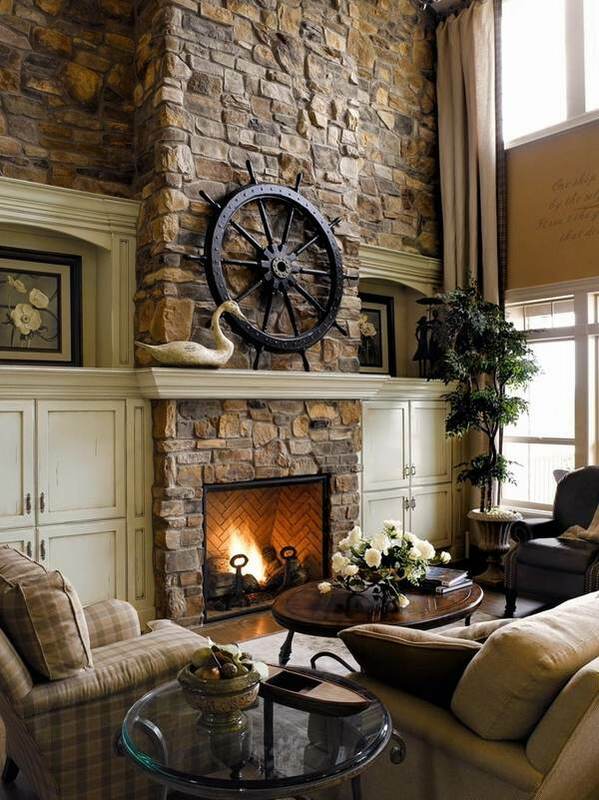 The best place for stone fireplace has always been the living area or the bedroom. 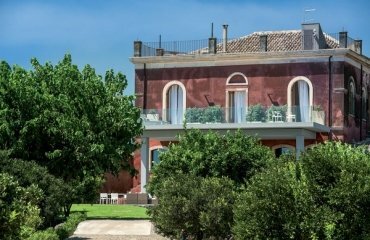 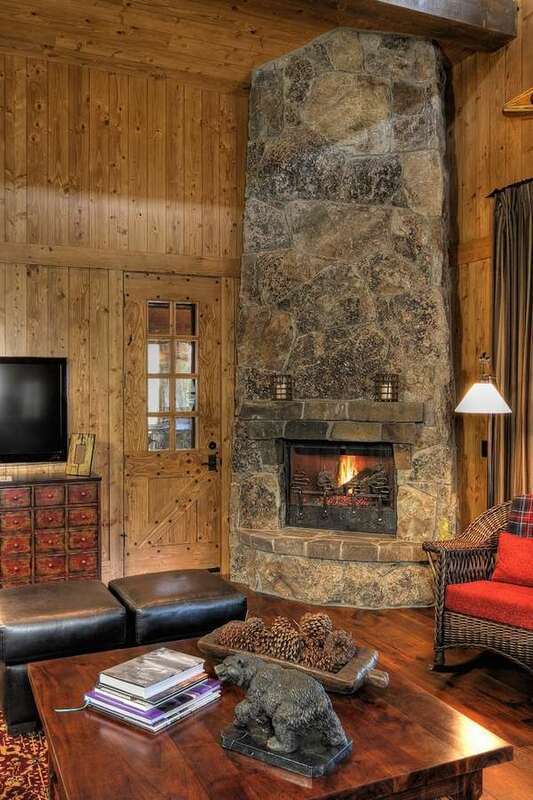 It creates a warm and welcoming atmosphere. 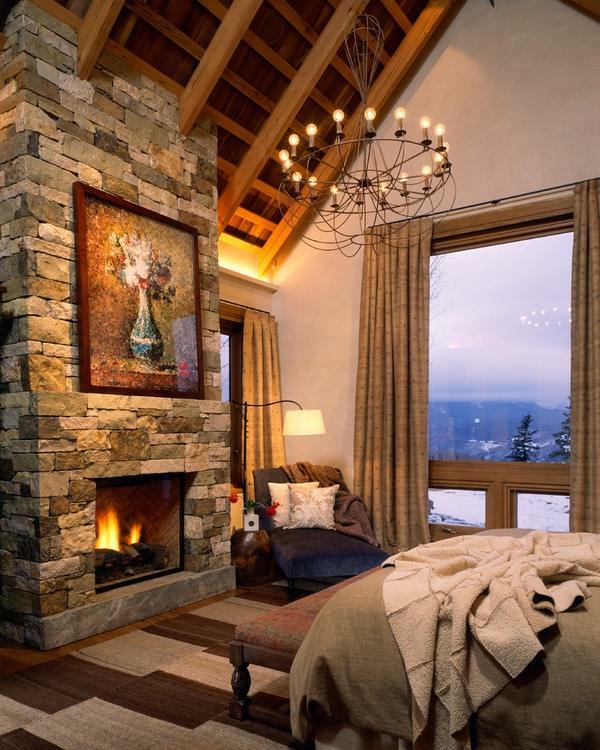 Fireplaces stand out as the natural beauty and color of the natural material is enhanced by design, which can be a good contrast to the white walls and ceiling. 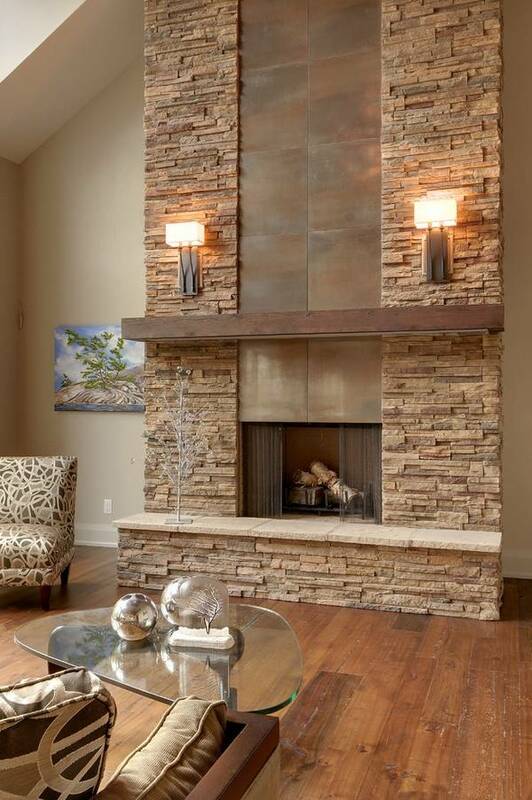 Stone is the first material for building a fireplace and it is not surprising that it has never lost its popularity with people. 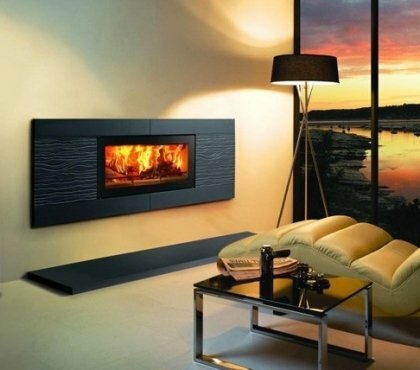 Fireplaces made of natural mineral – it’s a sign of luxury, good taste, well-being and stability. 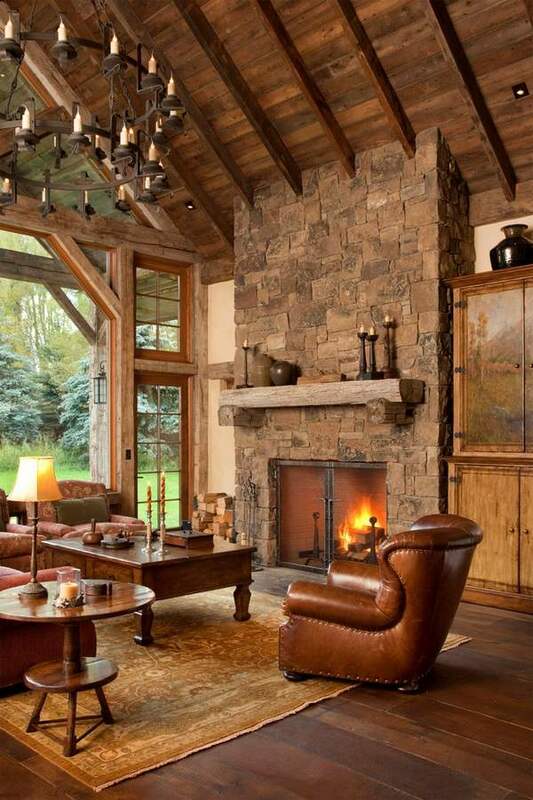 It takes a central place in the interior, attracts the views and brings thoughts for long, calm evening in a cozy and warm atmosphere in front of the fireplace. 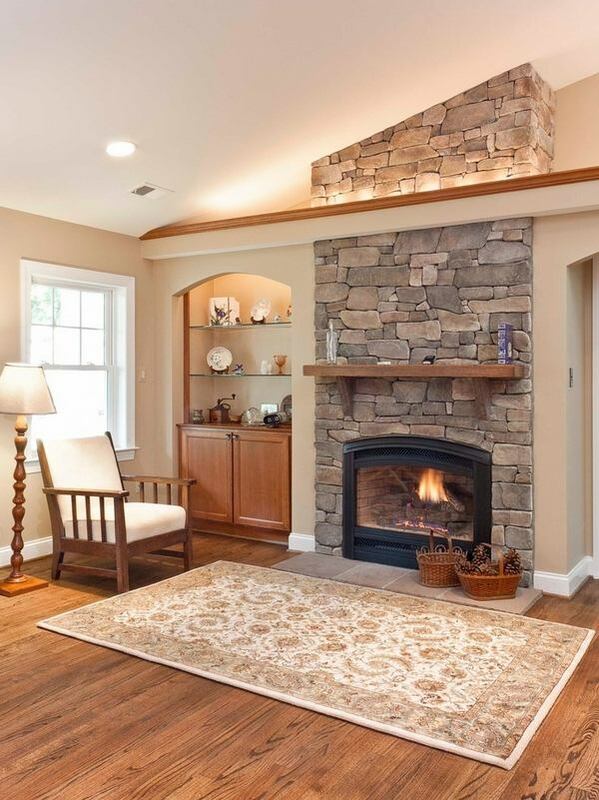 Stone fireplace can change any space beyond recognition, harmoniously fit into any interior design, whilst still retaining their “individuality” and originality. 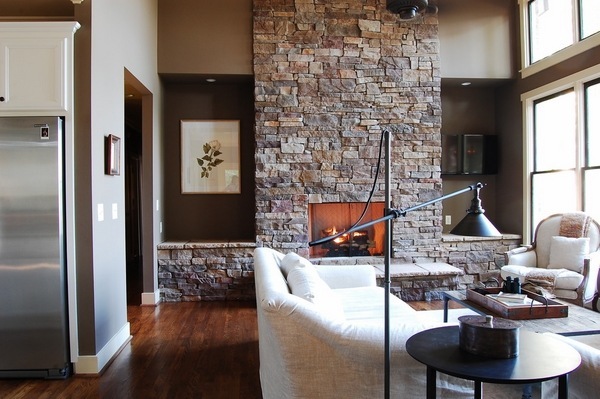 Color is an important factor as rocks have their own palette. 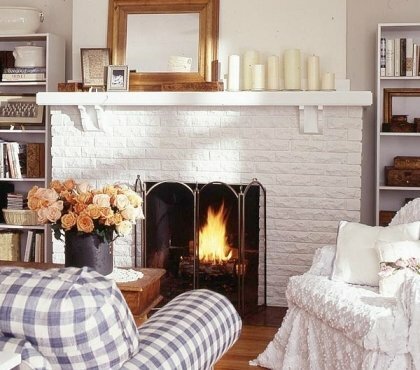 You need to decide whether the fireplace will be consistent with the overall tone or on the contrary, you would be seeking for a contrast. 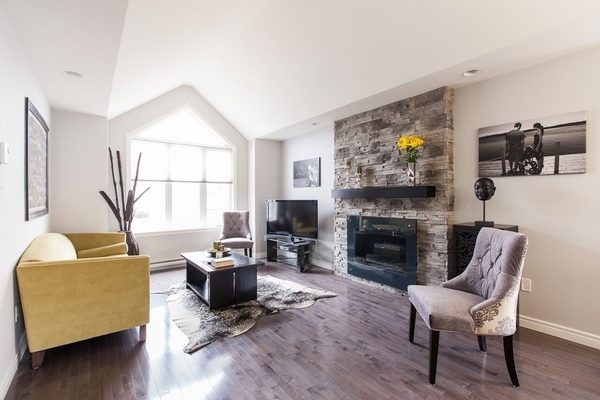 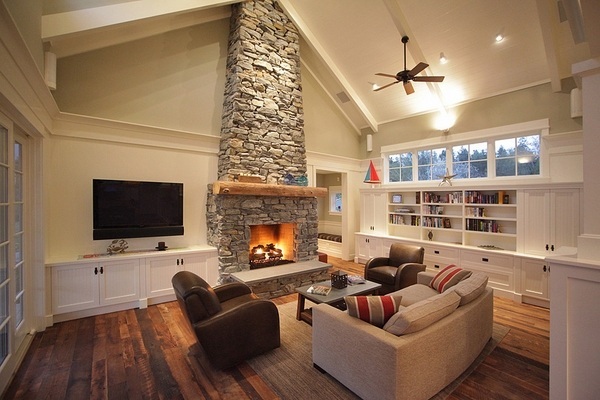 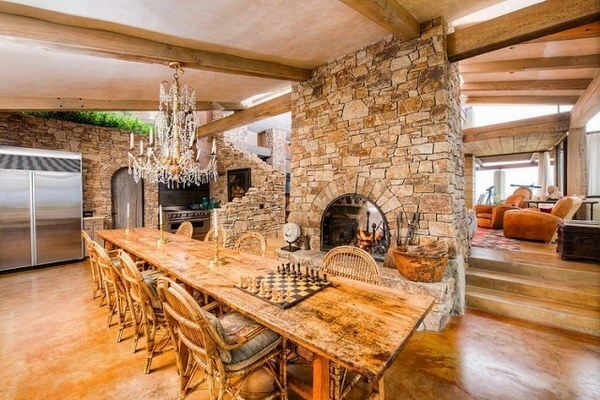 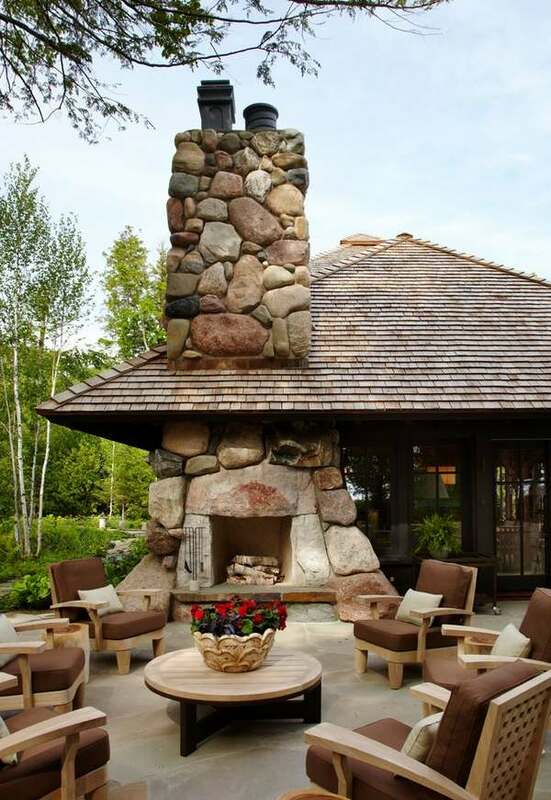 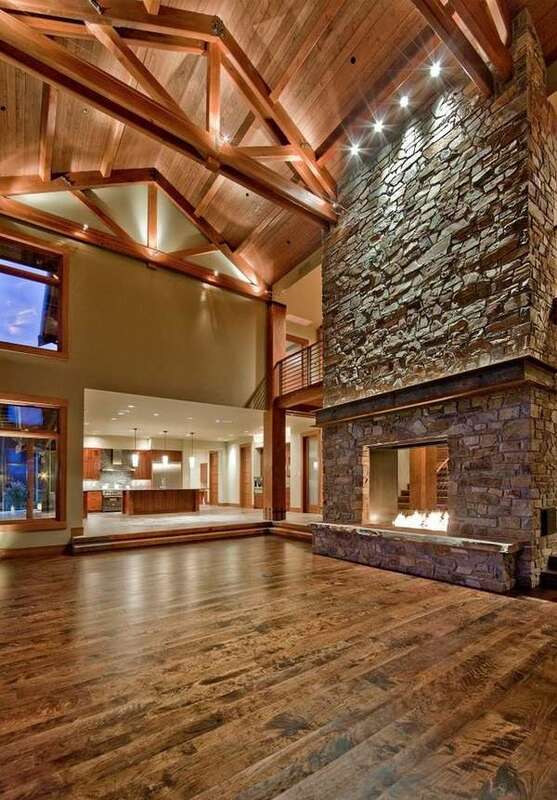 Often people are worried that they have a limited space and the living area is too small to have a stone fireplace. 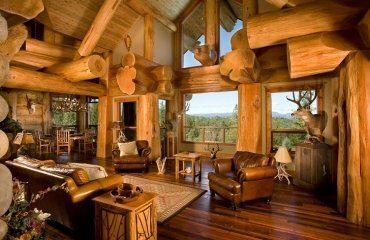 Well, if you wanted to enjoy the beauty of it in a small room, there is no need to build bulky hearths. 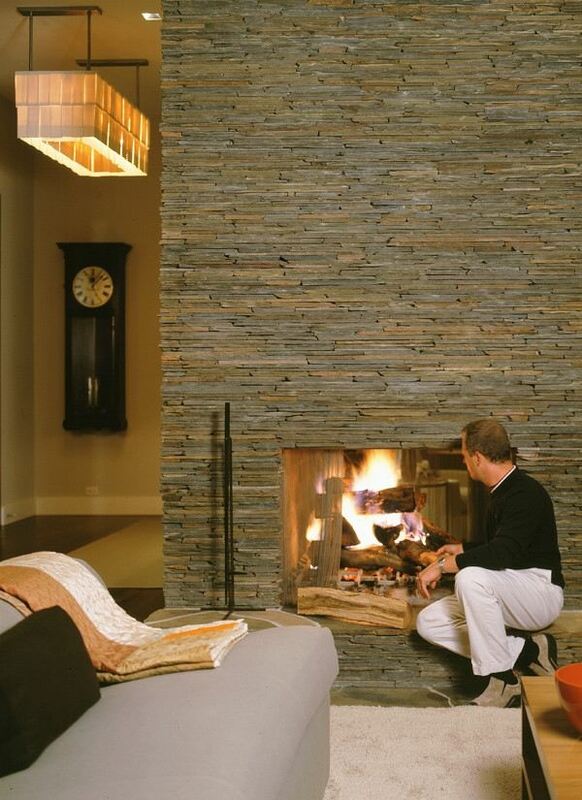 You can achieve an excellent effect with natural material surround of the fireplace. 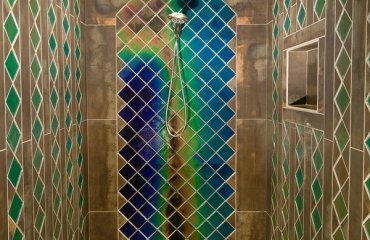 Marble and granite are amongst the most popular options, as well as natural slate. 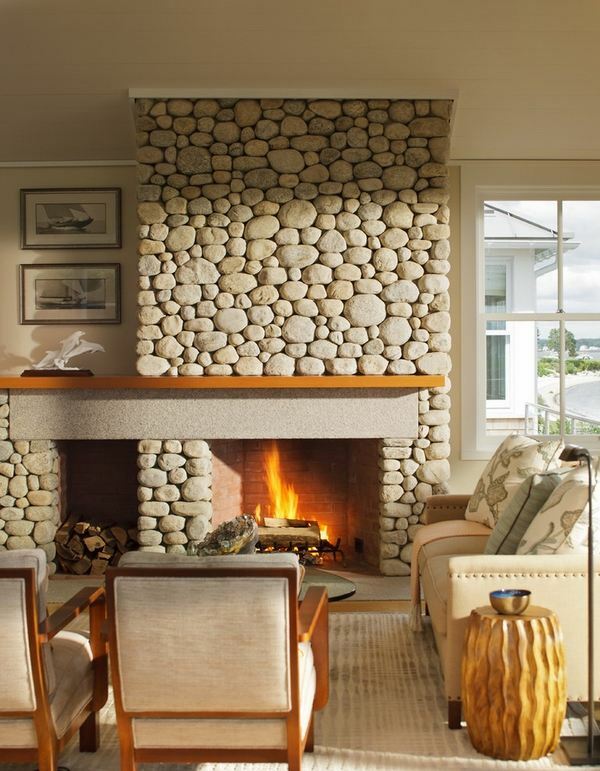 River pebbles are another option as they have a great decorative value. 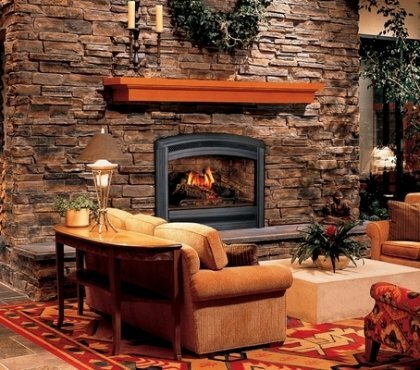 Slate chimneys provide a lot of warmth, comfort and above a feeling of Nature. 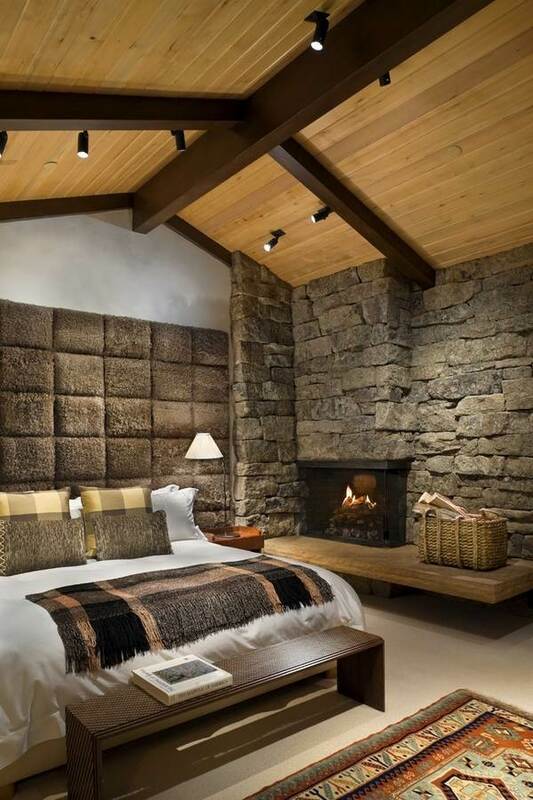 In combination with materials like wood, elegant leather, cotton or linen you will have the most romantic living or bedroom interiors. 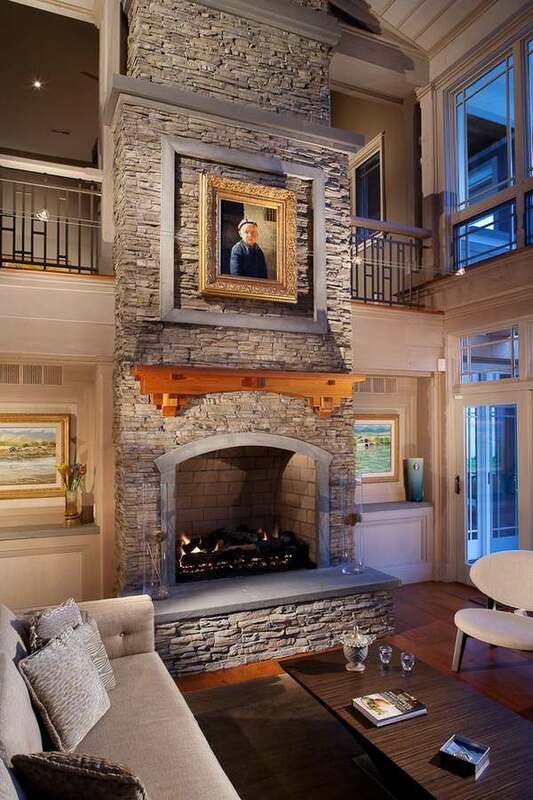 Despite the fact that there are people who think that a stone fireplace is suitable for only rustic interiors, the images in the gallery will show you fantastic modern fireplaces which gracefully fit into modern decors. 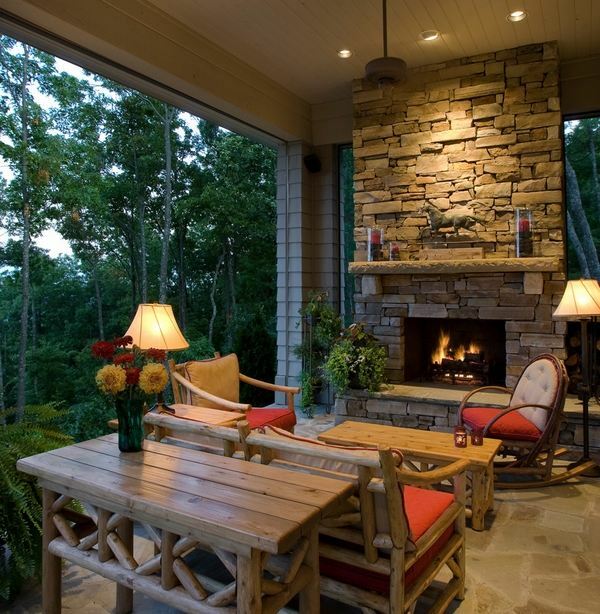 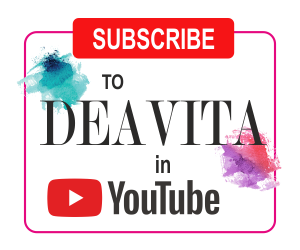 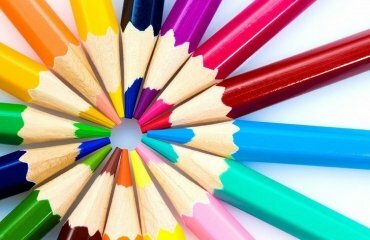 Look at the gallery below and get inspired!